If you think they don’t exist, you’d be very wrong. 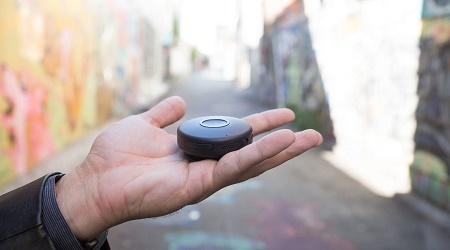 The Onyx from OnBeep gives you instant group communication from anywhere you have Wifi or cellular access. Yes, it is tied to your phone and you do have to pair it with an app, but it is a brilliant idea. While this does resemble the concept of a walkie talkie, it basically removes the limited range aspect. You can be anywhere in the world, and would only have to hit a button to receive instant access to all of your friends. This is compatible with Android 4.1 and above, the iPod touch, iPhone 4s, iPhone 5, iPhone 5c, iPhone 5s, iPhone 6, and the iPhone 6 Plus, running iOS 7 or above. It runs off of a lithium polymer battery which recharges via microUSB, giving you twelve hours of standby time, and should last through a normal day of use. There is a headphone jack, so you don’t have to worry about your conversation being broadcast to the world. One of these will cost you $99, or you can pay $195 and get a pair for you and a friend.